Blown away. 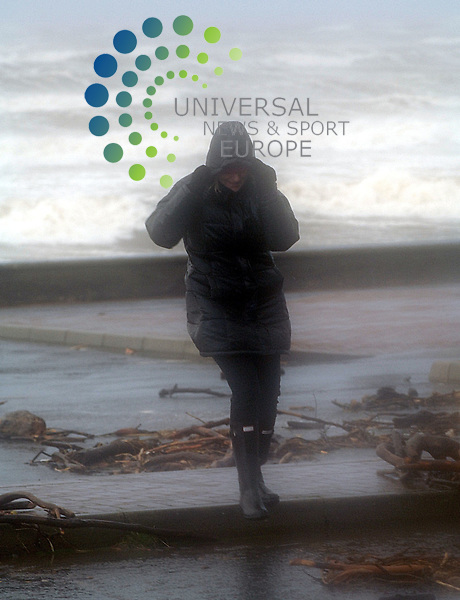 This lady struggles against the driving wind and rain and the gale force winds on Prestwick promenade...The gale force winds and driving rain arrive in the West of Scotland... Picture: Maurice Marwood/Universal News And Sport (Scotland). 8 December 2011. www.unpixs.com.